Serialization is the process of storing the state of an object to a sequence of bytes in the secondary storage device. If we want to make a class as Serializable, we should implement the java.io.Serializable interface, It is a marker interface. By knowing the values associated with the properties, we can determine the state of the object. Hence by serializing a class, all the property values can be saved in the files, database or network. If we don’t want to serialize some of the properties, we can make them as transient. Transient is the access modifier in Java, When we declare a variable with transient keyword, the value the variable can not be saved. The process of serialization can be done with the help of ObjectOutputStream. The ObjectOutputStream is a class which writes the primitive data types of Java Objects to an OutputStream. To write the primitive to OutputStream, the class should be implements the Serializable interface. void writeObject(Object obj) is used to write the object to OutputStream. After running the above example, the program will create a FileOperations.ser file on your specified path. The sequence of bytes will be stored in the FileOperations.ser. 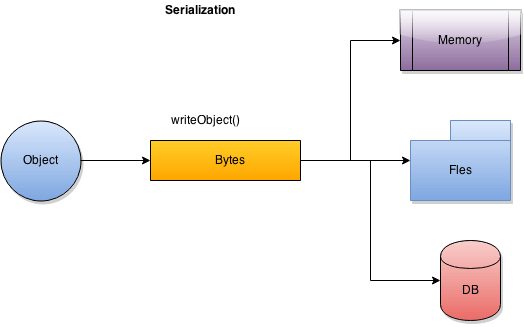 Serialization is also involves the process of get back the state of an object, after reading the sequence of bytes from the stored file. By using the readObject() method available in the ObjectInputStream class, the data will be deserialized. On the above out put, the “j” value is “0”. Because “j” is declared as transient, hence the default value is applied to the primitive. How to writing data to a file in Java ? How to count number of lines characters and words in a file Java ? How to Search a file in a Directory using Java ? 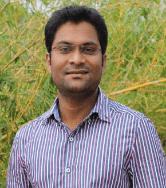 Thanks Chandrashekar….I practised it….it is working awsome….